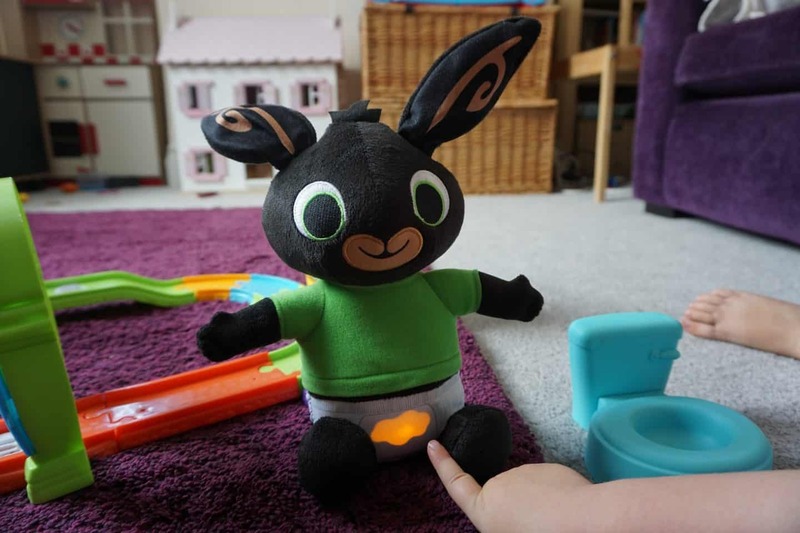 Toys: Toilet Training is no Big Thing with Bing! Toilet training doesn’t rank high on many mums list of ‘fun things to do with toddlers’ let’s be honest. So anything that could potentially make the job easier is welcome. Step up ‘Toilet training Bing! 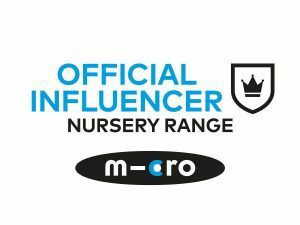 Every mum will know who Bing is- the bunny that is bigger than his dad/carer/childminder – Flop! He gets a bit worked up about things but good old Flop helps him work things out, as after all ‘it’s no big thing Bing’. So hopefully the idea of toilet training will be no big thing for our little ones either! This new ‘Toilet Train Bing‘ play set is ideal for helping little people learn about using the loo, flushing, and why we shouldn’t hold it when we do need to go! 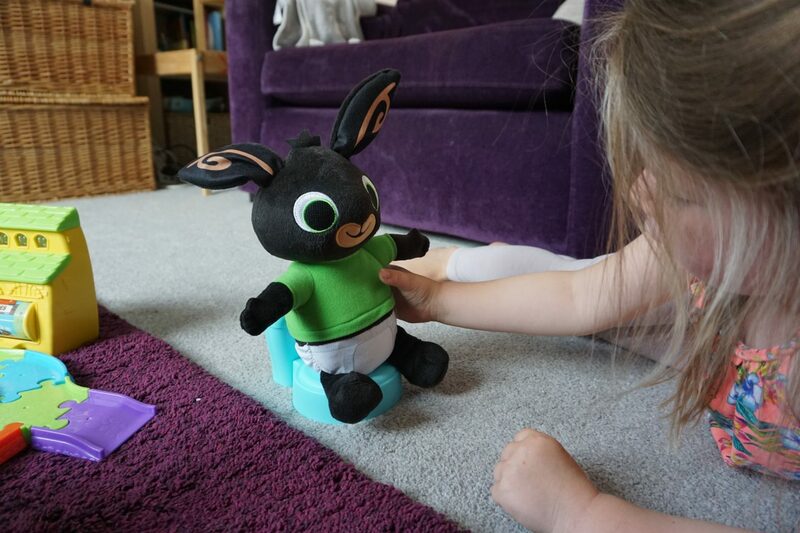 Bing himself is a soft toy that talks when you squeeze him, and he comes with a little toilet of his own to sit on. The idea is that Bing plays happily saying different phrases and then will give a warning that he needs to use the loo! Then he needs to be sat on his own little toilet where he will relieve himself- phew! However on the odd time that your child might not get him to the loo on time (possibly because their sibling has pinched the loo… whoops) Bing will have a little accident, and his pants will turn yellow! With any luck your kid will learn to get him on the loo pronto with no time to spare, and then transfer this valuable life skill to their own toilet habits! Including flushing the loo! Anyway, Bing comes out with lots of phrases that your kids will recognise, including asking if they want to play games like Hide and Seek, and asking them to ‘stop the game for the toilet train’, and ‘you need to pee pee before you play’ which a good life lesson really! The science bit- there is a magnet in the toilet that tells the Bing doll that he is sat on it (or not) and the ‘wee’ is actually a light behind his underpants. Designed for kids of 2 and up I think even past toilet training Toilet Train Bing would still be played with as many of the sounds are to do with different games. The set retails at £31.99 and needs 3 aaa batteries, though they come included. 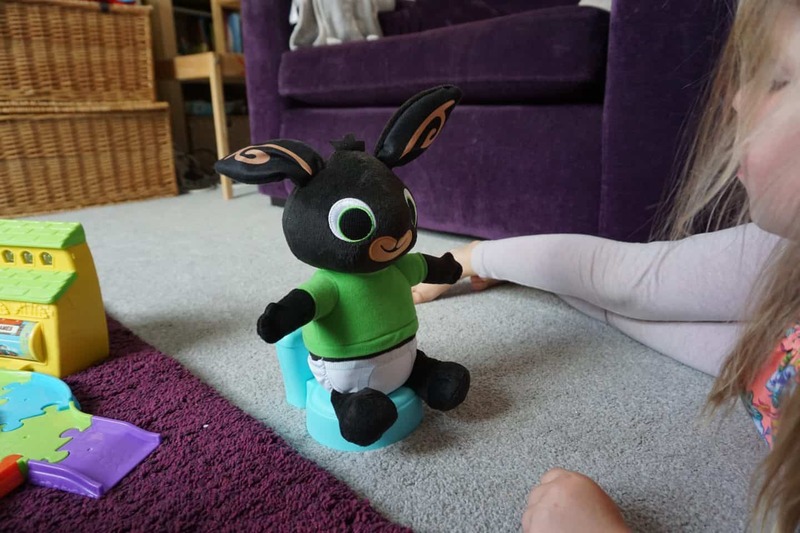 If you’ve got a child who really loves Bing then take a look at our Bing & Sula talking friends review, a year on and these two are still played with almost daily! We received Bing for the purpose of this review. Words opinions and photos are my own as ever. Previous Post Why I’m not sad about my kid starting school- AT ALL! Next Post #NationalTeddyBear Day with Build a Bear!